The return on investment (ROI) from pay-per-click (PPC) advertising varies greatly, depending on the products and services being advertised. Expensive goods and services in small niche markets may offer the best ROI for pay-per-click advertisers. Likewise, goods and services offered by brick-and-mortar retailers in local markets may offer their advertisers a good ROI. However, advertisers may have difficulty achieving a high ROI for low-margin products, like grocery items, that are seldom purchased online. 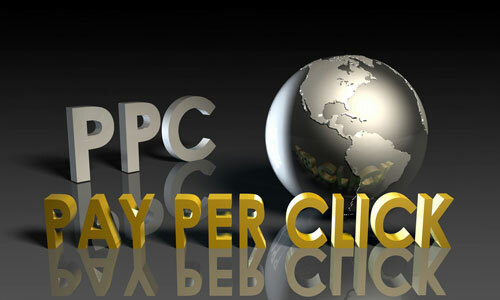 Pay-per-click ad "landing pages" are the web pages that a person sees upon clicking an ad. A landing page is usually designed to elicit a purchase or contact from the potential consumer or client. Generally, it is easiest to measure the PPC advertising ROI for products and services that are purchased online, and hardest to quantify the return on investment for products and services that are purchased offline. However, pay-per-click advertising can be very effective for generating both sales and leads, especially if the landing pages are well-designed. The pages listed below highlight several industry categories and discuss the parameters for advertising products and services online in these industry markets. These pages also provide links to selected websites that focus on topics, products, and services in these markets. Find a selection of commercial and office products in these representative business-to-business websites. Learn about the wide ranging products and services offered by representative parts of the computer hardware and software industries on these informative websites. Compare a wide range of residential and commercial construction industry products and services by visiting these resource directories. Learn about, and find suppliers of, consumer electronics products on these convenient electronics niche websites. Browse selected financial service and investment products at these resource directories. Find a broad selection of home decor products and decorative accessories in these homeowner guides and directories. Find business, consumer, and personal services in this sample group of convenient service directories. Find information about, and suppliers of, selected consumer products by visiting these online consumer guide websites.